Yohwan Lim, also known as the BoxeR, was a famous professional StarCraft player before becoming a professional poker player. Having retired from StarCraft in 2010, he turned his analytical skills and his penchant for strategy games as leverage in a mind sport like Texas Holdem Poker and went fully professional in 2014. At the beginning of that year, Lim cashed in his first tournament as a professional in the Macau Poker Cup No Limit Holdem Turbo Event for US$1,186. the following month in February, he placed 2nd in the Asian Poker Tour (APT) Cebu Series 6-Max Event and brought home US$4,637. In the following years after becoming a pro, Lim consistently cashed small amounts in live tournament circuits in Manila & Macau. But 2016 was his most prolific year to date. His first major earnings came in July 2016 when he placed 2nd in the APT Experience Main Event for more than US$33,000. Another 2nd place finish the following month occurred but this time at the APT Poker Weekend Series for US$10,218. Before the year ended, in October, Lim made a final table finish once again, placing 4th at the APT Macau Main Event earning a little bit more that US$20,000. He claimed during the same festival his first trophy when he took down the opening event for $ 9,898. The year 2017 started well for Lim when he took home more than US$10,000 making it in the money at the very first PokerStars Championship Macau Main Event in April. 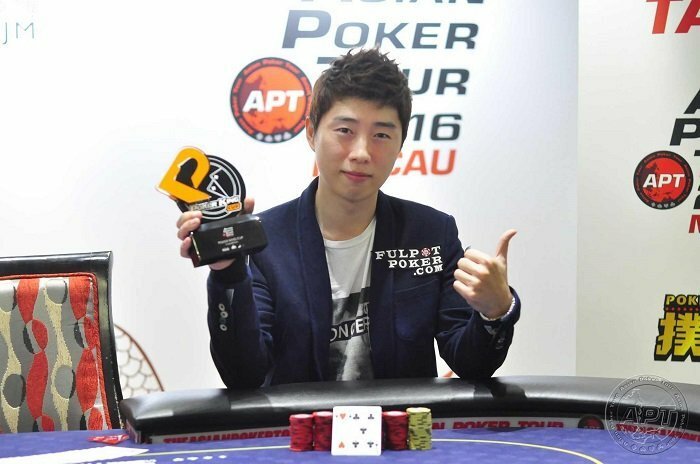 In the same month, Lim won the APT Charity Event. His online gaming skills are definitely paying off in the poker scene. No doubt that in the future, Lim‘s fame as a gamer will be surpassed by his renown as a professional poker player.